Do we need anymore evidence than this, that the FBI does not blindly seek justice, but is a very powerful weapon for liberals and the Deep State, more akin to the East German Stasi than it is of true American justice? This has to be stopped in its tracks right now and the entire organization purged. President of Judicial Watch Tom Fitton taunted the Deep State Tuesday when he announced ‘the cover-up begins to end’ as new Clinton-Lynch tarmac docs are set to be released Thursday. The FBI was stalling the release of the documents all day. Judicial Watch just released 29 pages of Clinton-Lynch tarmac meeting docs which were previously withheld by the Justice Department. The FBI wasn’t even concerned about the scandalous meeting, all they cared about was hiding the details from the public! The new FBI documents show FBI officials were concerned about a leak that Bill Clinton delayed his aircraft taking off in order to “maneuver” a meeting with the attorney general. The resulting story in the Observer is seemingly confirmed and causes a flurry of emails about the source of the article. FBI official(s) write “we need to find that guy” and that the Phoenix FBI office was contacted “in an attempt to stem any further damage.” Another FBI official, working on AG Lynch’s security detail, suggests instituting non-disclosure agreements. The names of the emails authors are redacted. There are no documents showing concern about the meeting itself. Click here to scroll through all documents. 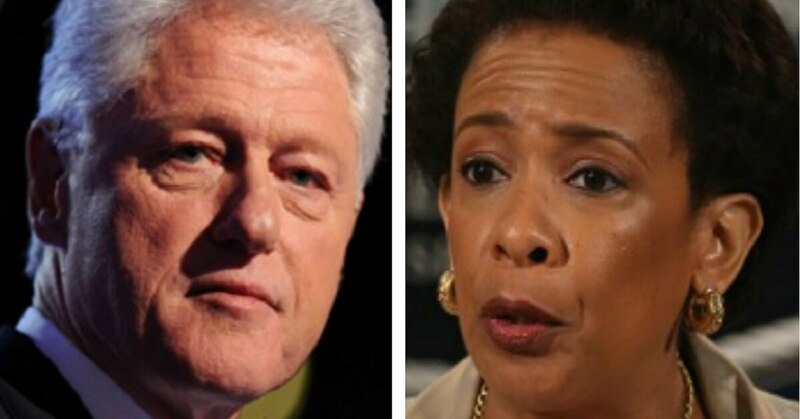 How sweet of Bill Clinton to delay his flight in order to talk to Loretta Lynch about golf and grandchildren. Nothing to see here, folks. The fact that the FBI was more concerned about going after the local Phoenix whistleblower (law enforcement officer?) and making sure the details of the meeting didn’t leak to the press is truly disturbing. There needs to be a real investigation into the tarmac meeting and justice must be served in order for Americans to have confidence in the FBI again.